This beautiful Amethyst healing stone/wand has been beautifully carved and shaped to fit perfectly in your hand. It has a small hole drilled on the top so that it can be hung. The approx. 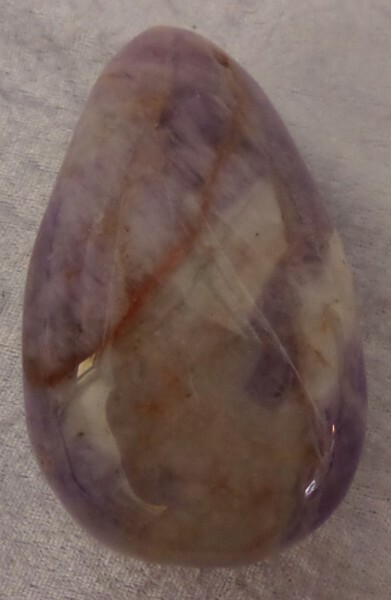 size of this beautiful stone is 3 1/2 inches x 2 inches. 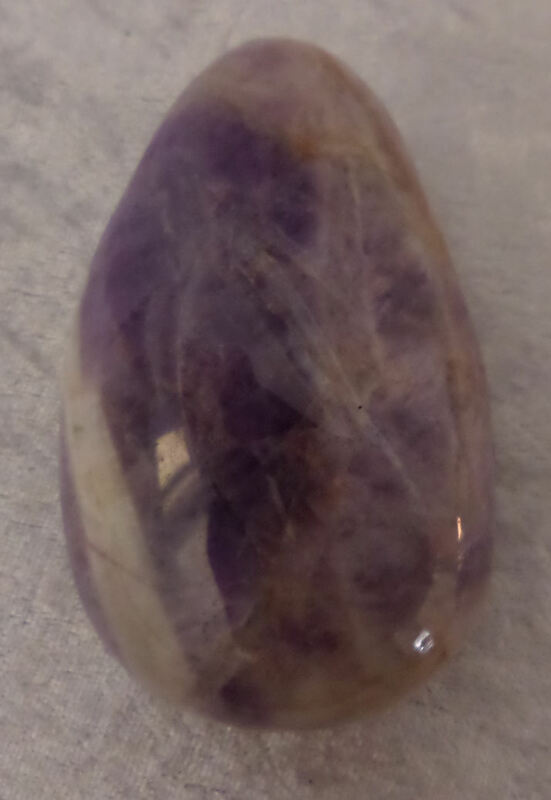 The Amethyst meaning is spiritual growth and protection. Amethyst is also known for bringing clarity of the mind to the owner. The meaning of Amethyst is also of protection. 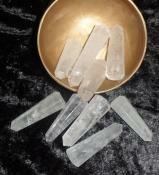 The Amethyst energy stones repel negative energy and attract positive energy. They can also protect the wearer against themselves, when addiction is concerned. It is a gemstone of spiritual protection that will help guide the wearer on their divine spiritual path.